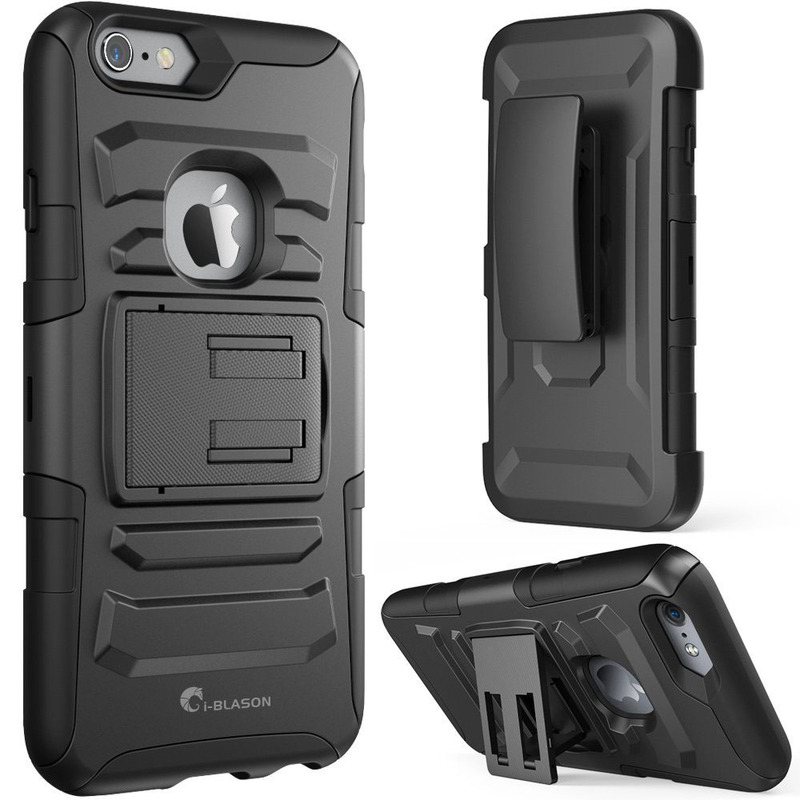 Dual layer i-blazon iPhone 6S Plus Case is designed for the 5.5 inch iPhone. 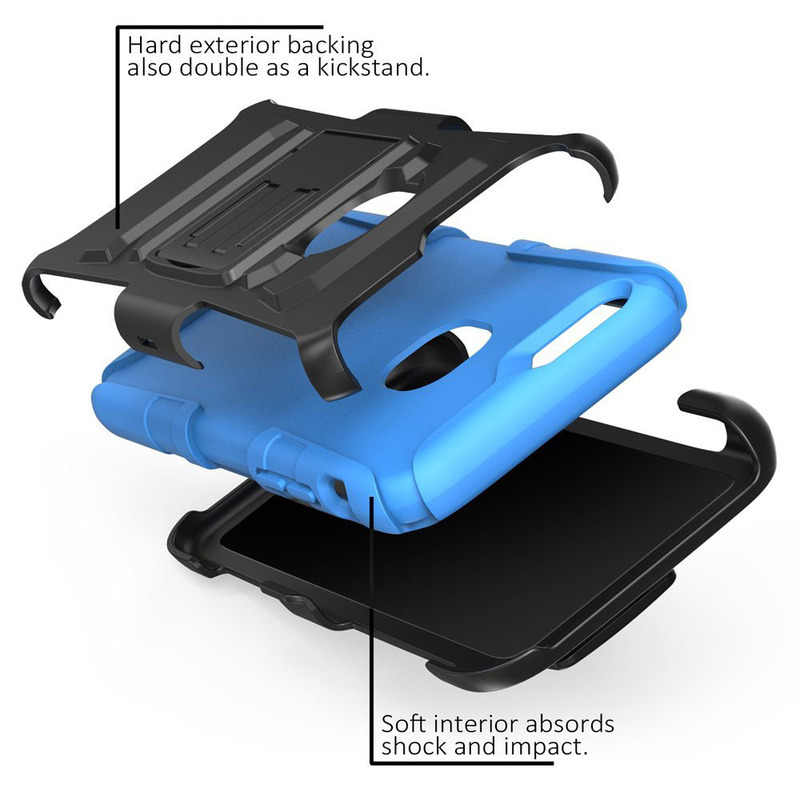 It includes a built-in kickstand and belt clip. 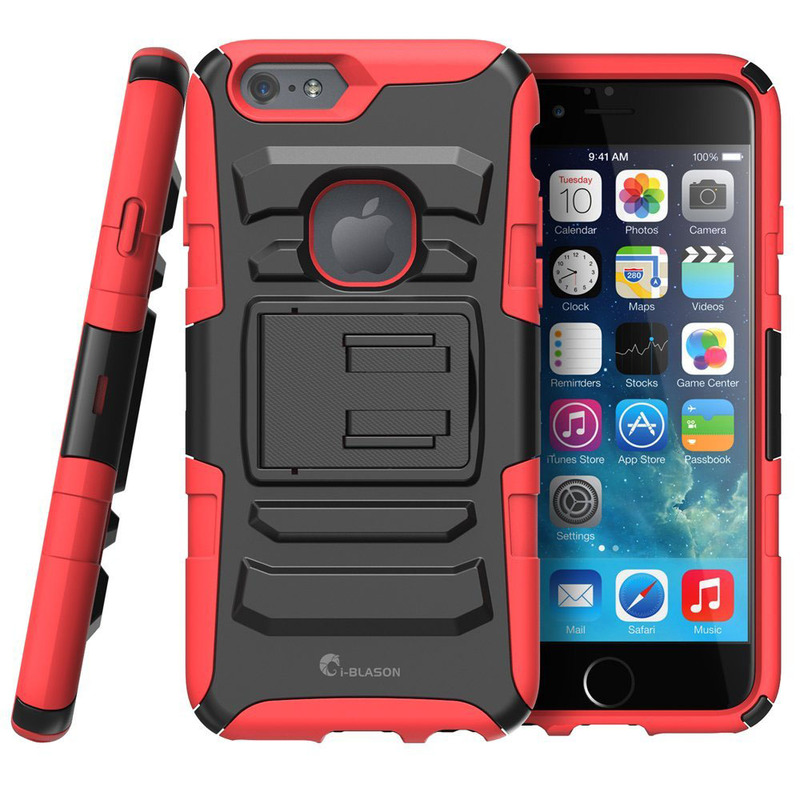 The hard outer shell is impact-resistant while the soft silicone inner cover absorbs shock. The heavy-duty case is available in Black, Red and Blue.